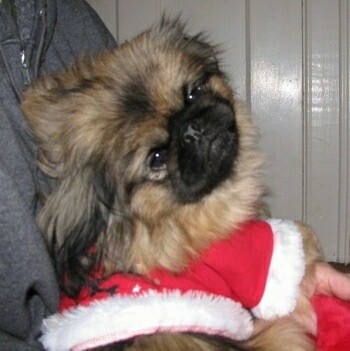 "This is Mannie at 2 1/2 years old. 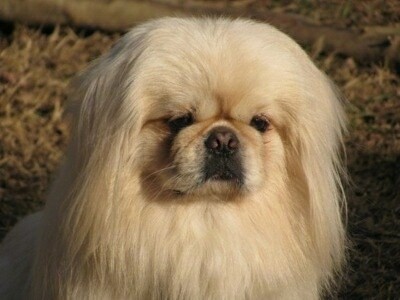 Mannie is a purebred white Pekingese. He's 13 pounds and has a healthy appetite (to say the least). 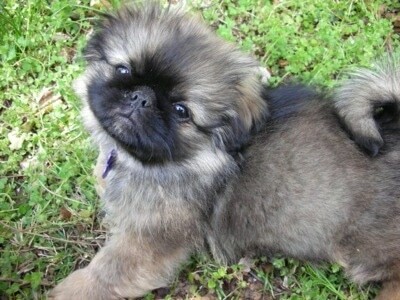 I got Mannie when he was 12 weeks old. Mannie has an amazing personality. He makes funny noises when he's excited and hops and dances on his back legs. Mannie is very smart and trained very easily. He can be a little bit stubborn at times though. He doesn't need much exercise with those short, little legs. He's very lazy indoors. He's not a "lap dog". He loves attention, but gets too hot if he's sitting on your lap too long because of his long hair. He's a great dog and makes life interesting!" 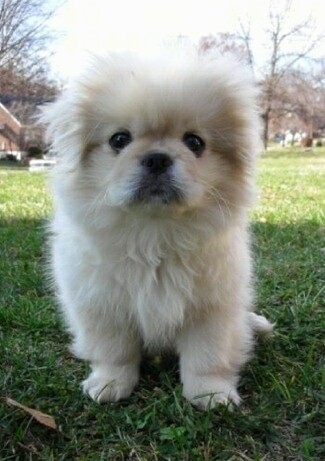 "This is Spike AKA Spikester. 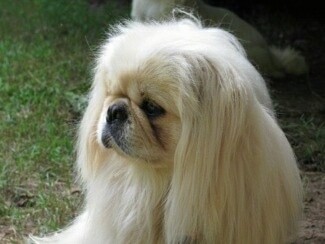 Spike is a purebred Pekingese. He's a little over 2 years old. He's brown, white and black and 14 pounds. He's a chunk. 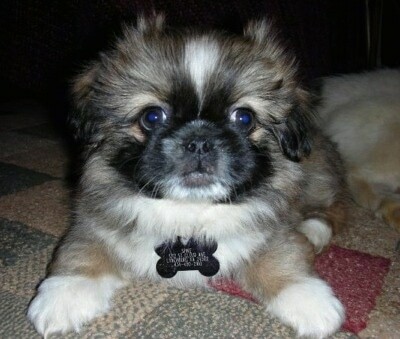 I've had Spike since he was 8 weeks old. He is the piggy of the family. He's never turned down a piece of food yet! 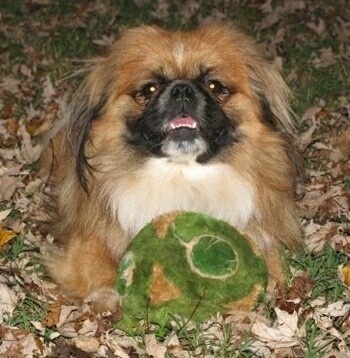 Spike is very playful and loves toys—squeaky toys, bones, ropes, even sticks or bugs. He is very active outdoors, but calm and lazy indoors. He's not a barker at all. He only barks if a stranger comes to the door. He's very relaxed. Spike has an outstanding personality and was very easy to train. He does, however, have gas and snore. He can clear a room quick! 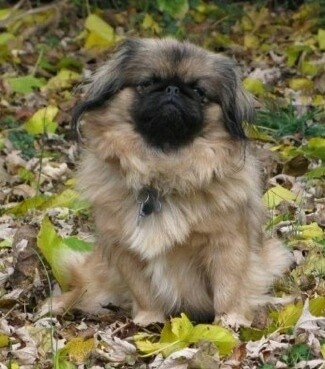 It's never bothered me, though; I think it gives him personality! 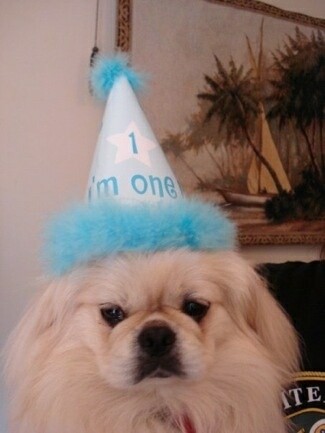 :D"
"This is Sasha. 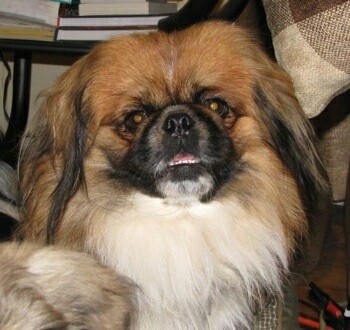 She is my purebred Pekingese. Her color is sable. She is 2 1/2 years old in this picture and weighs 12 pounds. 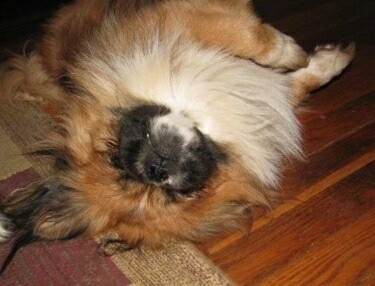 I could write a book on Sasha's personality, but I'll keep it semi short ;) Sasha is Spike's sister (shown above). They are best buddies. We've had Spike and Sasha since they were 2 months old. Sasha is very sweet and loving. She will lick you until you can't take it anymore. She is the queen and lets everyone know on a daily basis. She's definitely 'top dog' or the pack leader of the group (not counting myself, of course) and thinks she gets first pick on toys, treats, etc. We have a doggie ramp outside and she sits on top of it and monitors everyone for hours. She's not extremely active. She will run around for less than an hour; the rest of the day she wants to nap or sit in the house and watch TV. 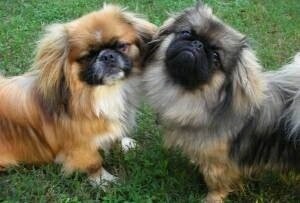 Like her brother, she has never turned down a treat ;) Pekingese are big, big eaters. They are a giant breed in a little, short body."